Shorty after making its worldwide debut, the Mini R58 Coupe is already on its way to becoming a more potent performer with the latest upgrade program from AC Schnitzer, the Mini and BMW specialists. Although the new R58 tuning program is still in its early stages, it promises to improve the already fun and exciting driving experience of the Coupe. 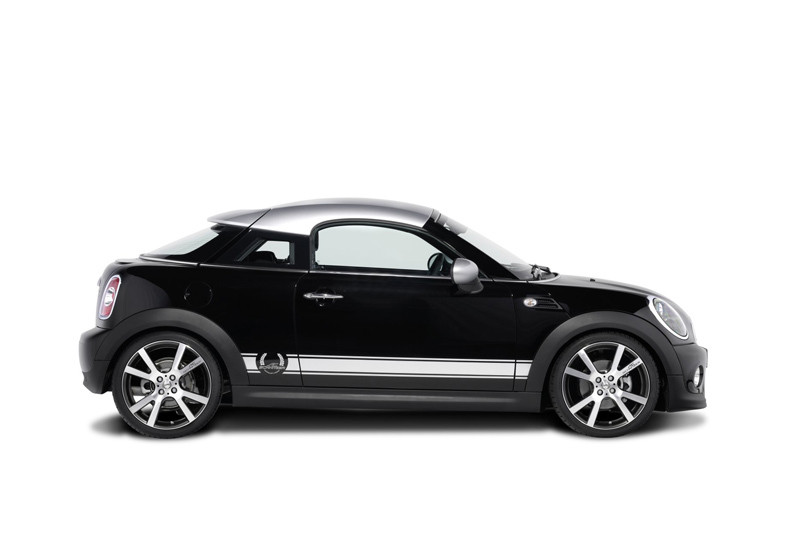 One of the most noteworthy attributes of the entire Mini lineup is the rewarding driving dynamics. The go kart-like feel has helped turn them into a cult-like obsession. In the new R58 tuning program, AC Schnitzer has developed new chassis upgrades to give the Mini Coupe razor sharp handling. Customers will be able to choose from a height-adjustable racing suspension or spring kit for varying degrees of performance. For the rear axle, the German tuner has developed a new sway bar to reduce body roll, while the front axle benefits from a new aluminum strut brace. 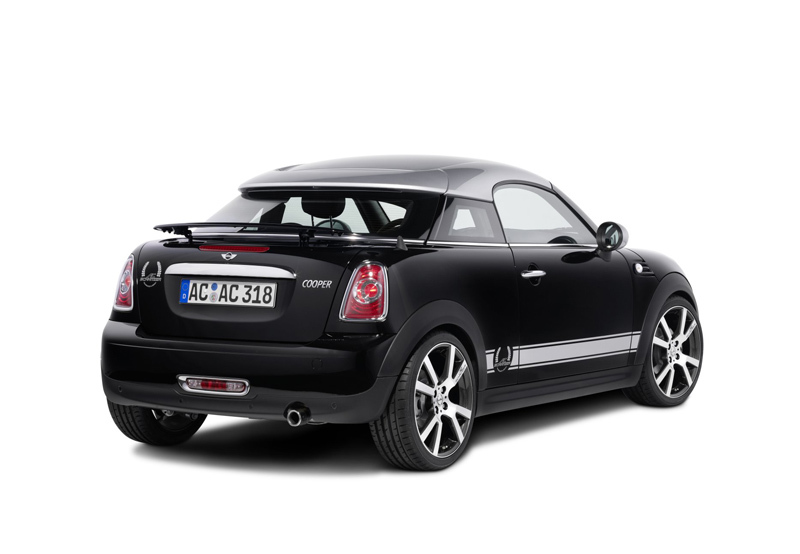 AC Schnitzer also designed and fitted new wheels and brakes to improve the overall performance of the Mini R58 Coupe. 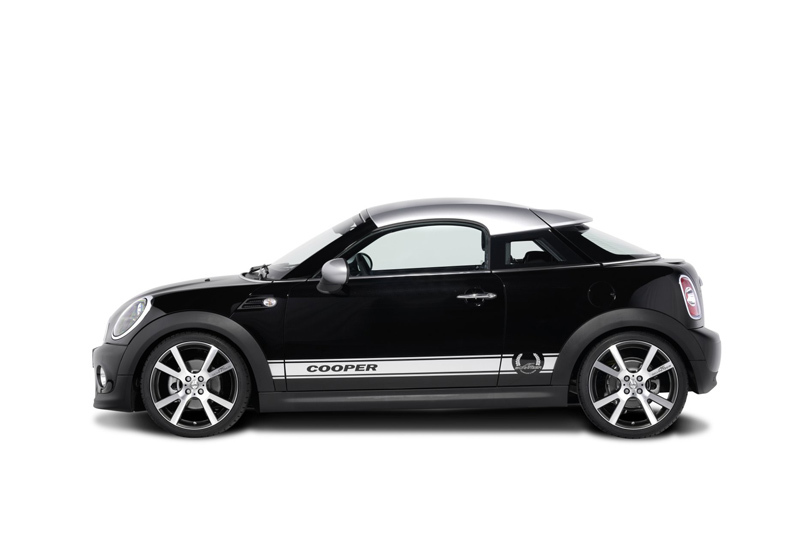 Two types of wheels are available for the Coupe; Mi1 Silver or Mi2 BiColor. The Mi1 wheels are available in a 7.5J x 17 fitment with 215/40 R 17 tires, while the Mi2 BiColors are available in 7.5J x 18 with three different tire sizes. Behind each wheel hides four-piston performance calipers with 328 x 28 mm slotted discs, new brake pads, and braided stainless steel lines. Currently AC Schnitzer is developing a tuning program for the range of Mini R58 models, including both the turbocharged and naturally aspirated 1.6-liter engines. 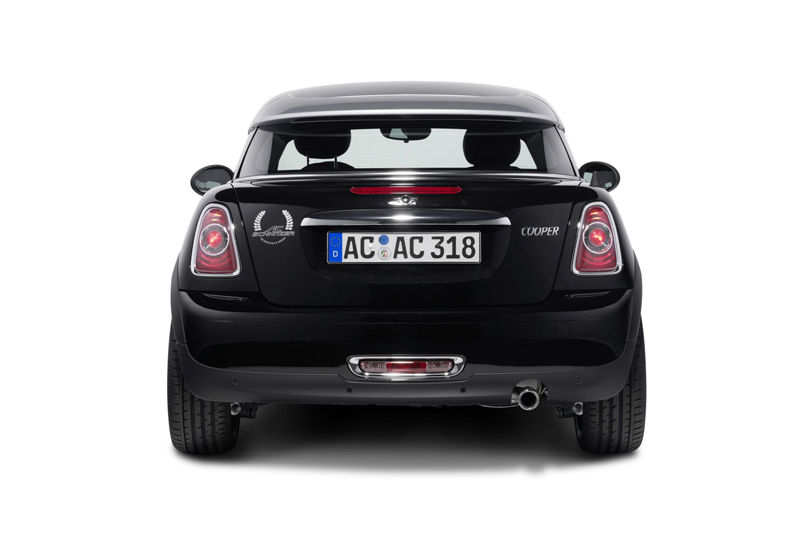 The German company does offer a sport exhaust system with crossover pipe, sound pipe, and rear muffler with chromed “Racing” tailpipe for all variants. 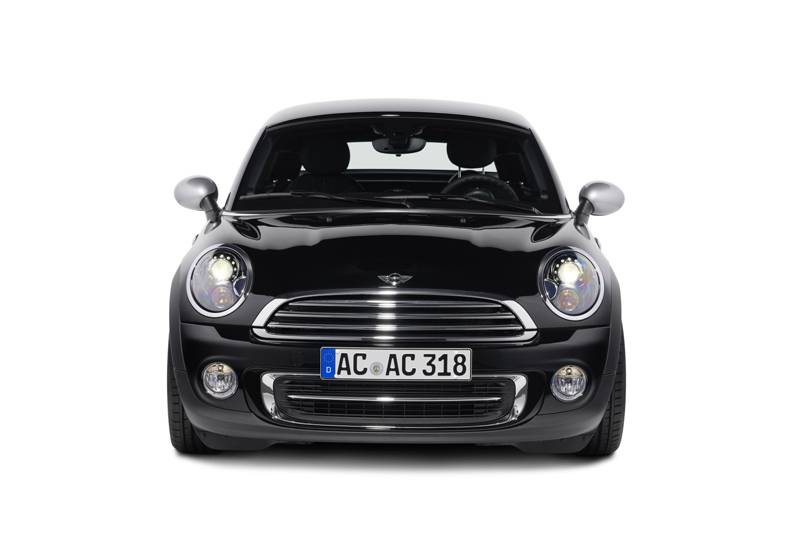 An AC Schnitzer Mini Coupe limited slip differential for models with the manual transmission is also available with a 75 percent locking rate. Inside, AC Schnitzer offers a range of new trim sets and accessories to make the Mini R58 Coupe even more individual and sporty. New aluminum pedals and foot rests can be installed along with velour floor mats, while an AC Schnitzer gear knob with digital gear display and “Black Line” handbrake can be fitted on the center console. 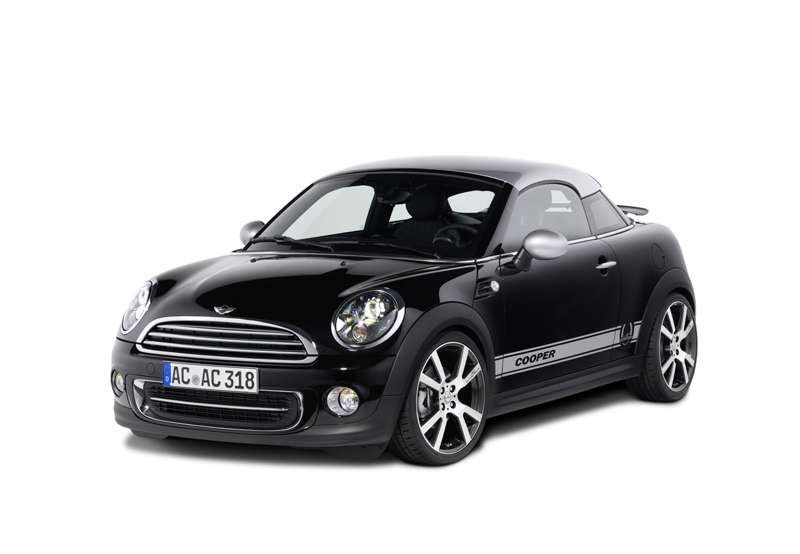 The AC Schnitzer Mini R58 Coupe upgrade range is currently available. The engine upgrades for both turbocharged and naturally aspirated models are in development. Pricing for individual accessories has not been released. Will the AC Schnitzer Mini R58 Coupe be the most exciting model in the Mini lineup? Leave a comment and let us know!